What are “ikejime” and “nojime”? 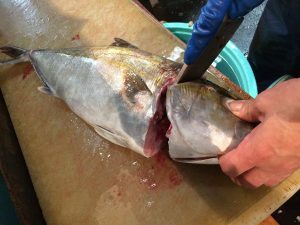 How the fish is butchered also changes the taste. If the fish suffers and struggles, the body wears and may be damaged, circulating oxidized blood throughout the body, which makes it lose flavor. 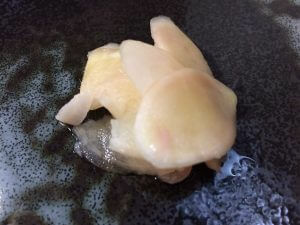 For fish of high value such as sea bream, flounder, yellowtail, rudderfish and tuna, a method called “ikejime” is used. The taste of tuna is said to be determined based on the preparations after being caught. The tuna is caught with as little suffering as possible and the nerves are killed immediately for an instant death. Generally, blood is then drained perfectly, entrails and gills are removed, the tail cut off and then the fish is placed in ice-water to lower the body temperature. The medulla oblongata and main artery of the fish are cut and a kitchen knife is inserted into the base of the tail to drain the blood. A thin metal rod is inserted into the backbone to paralyze the nerves and at the same time controls the putrefied materials that come out of the spinal cord. 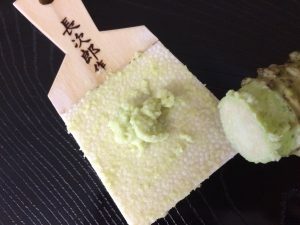 This extends the time until rigor mortis sets in, making it easier to maintain freshness and simultaneously preventing blood from circulating in the body, which also prevents the fishy smell. Freezing the fish to death in ice water is called “nojime”. This method is generally used for small fish such as sardines, horse mackerel and mackerel that are fished in large volume. 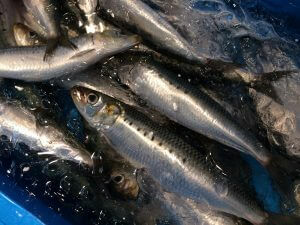 At fish markets, the term “kill” is not used for living fish, instead the word “shimeru” meaning to close or tighten. The term “dead fish” is also not used. Instead the term “nojime” is used for fish that died naturally en route to the market. This stems from the awe of precious life and turning that life into food. 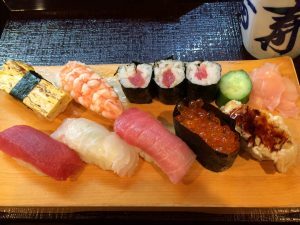 Posted on June 19, 2017 September 12, 2018 Categories TriviaTags Maguro, Nigiri sushi, Sushi Ingredients6 Comments on What are “ikejime” and “nojime”?